After I saw PanzerKaput's brilliant boy scouts I have to do some for me. 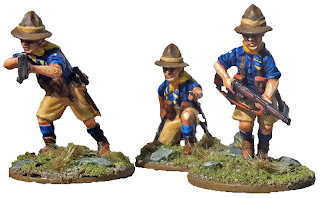 They are a little bit different from english scouts, they have blue shirts! I will just make a small group of seven. 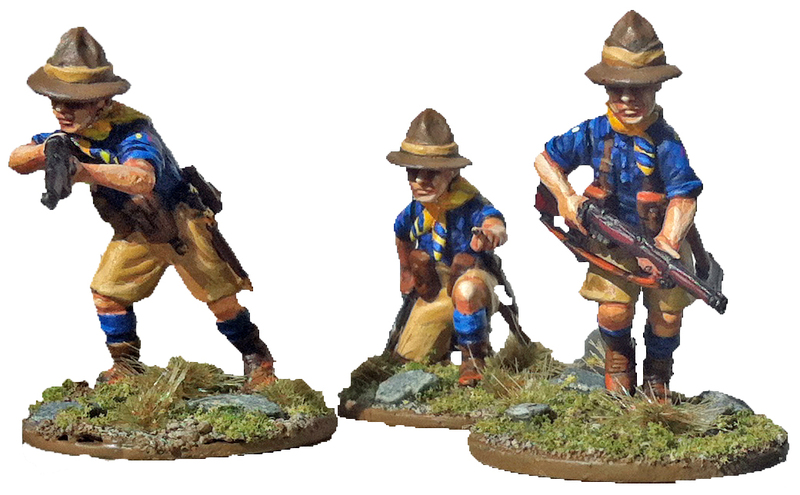 I will tell you more about their background when I have painted the Scoutmaster. If you only knew what I'm planing next! Then you would be afraid, very afraid! Very Nice work Björn the colour palette is fantastic.